Artlist Collection: The Dog was showcased in Metroplaza Hong Kong to celebrate the London Olympics 2012 with shoppers! This company is a successful puppy photography franchise from Japan. They are offering gifts with every purchase! Simply spend above a certain amount in any participating outlets to redeem one Artlist Collection: The Dog item. Spend a minimum of HKD 600 to redeem a pair of Flip-Flops or Fast-Dry Towel. 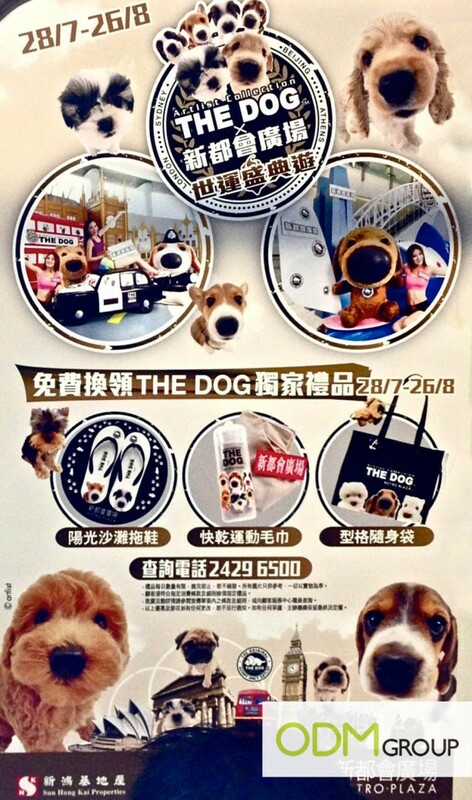 Alternatively, spend HKD 1,200 and above to get a free plush and Tote Bag! These incentive products would not only help Metroplaza drive sales but also raise brand awareness and create buzz around the campaign… What do you think of this promotional event?